Nike has hit the top of the recognition charts with this one, haven’t they? It’s actually a great phrase in the right context. It could be really stupid and dangerous too, so don’t jump off a bridge or anything because you read this and my words somehow inspired you to be an idiot…that’s not on me! Tomorrow I get to do something I have been wanting to do for a really long time. 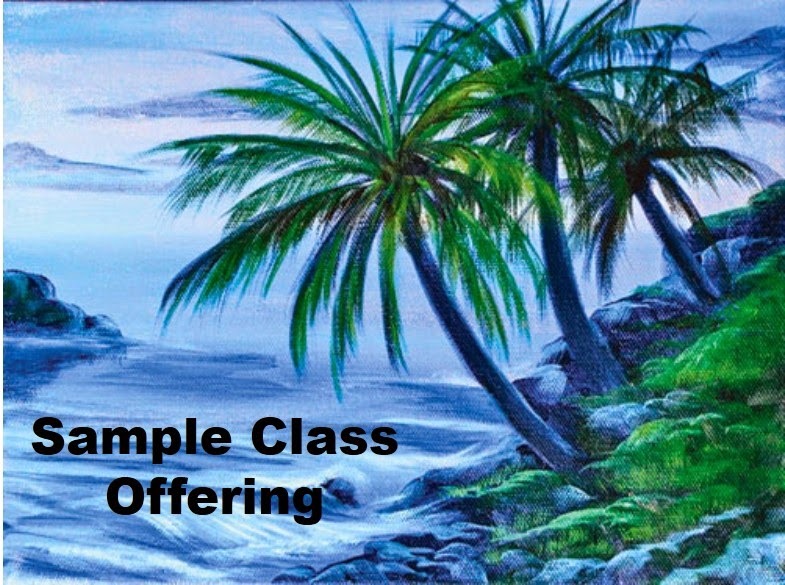 I am taking a painting class. It’s just a couple of hours, but the goal is to bring home a 9×12 canvas painting of a seascape that I will paint! The class was not expensive, the supplies were a small investment though. My hope is that I’ll gather some know-how and use them again. I see how the phrase “starving artist” came about – paint and brushes are not exactly cheap! As I’m crossing this off of my bucket list, I can’t help but think of my friend Beth. She passed away very unexpectedly this week. Her funeral is Monday. I was going to stop in at the hospital on Wednesday, but I didn’t. I thought, ah, she’ll probably be home in a day or so, I’ll call her later. She had said she didn’t really want visitors, just prayer. And I was busy. So I prayed for her. Late that night, she took a turn for the worse, ended up on life support, and died on Thursday. Her family is all here, and I am helping with the memorial service. I am grateful that I can help them through this. I just wish that I had popped in to say hello. It’s so true. Life is so fragile. And temporary. How do we sort out what’s important versus what is urgent? We can’t do everything, but we can do something. Give of ourselves. Make time for those that we care about. Love well. Just do it – while you can!